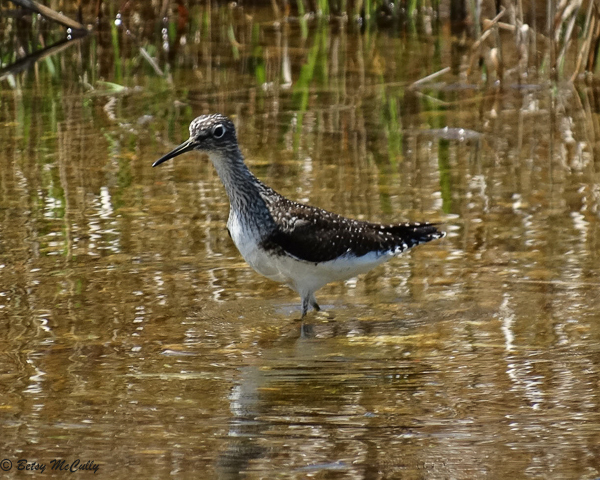 Solitary Sandpiper, Marine Park. In migration, visits pond and stream edges, and temporary puddles. This one is in a puddle. Migrant.